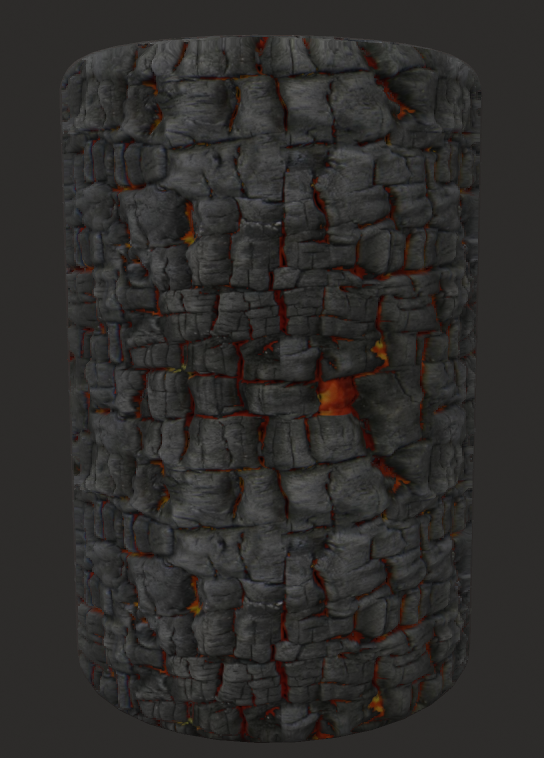 I used a torch model from the Viking Village and added my wood texture and made some texture of burned wood from a fire I made this winter. This was a good combination. the edge between the wood is a bit hard, but with the fire particle it will look better. I found a fire particle and changed the color, size and behavior to match the torch. I made a prefab to make it easier to place them around in the scene.